Vegan Ceviche – with lots of fresh dill and grapefruit juice. It’s a flavor combo you’ve got to try! This easy plant-based ceviche would be a delicious and gorgeous start to any meal. 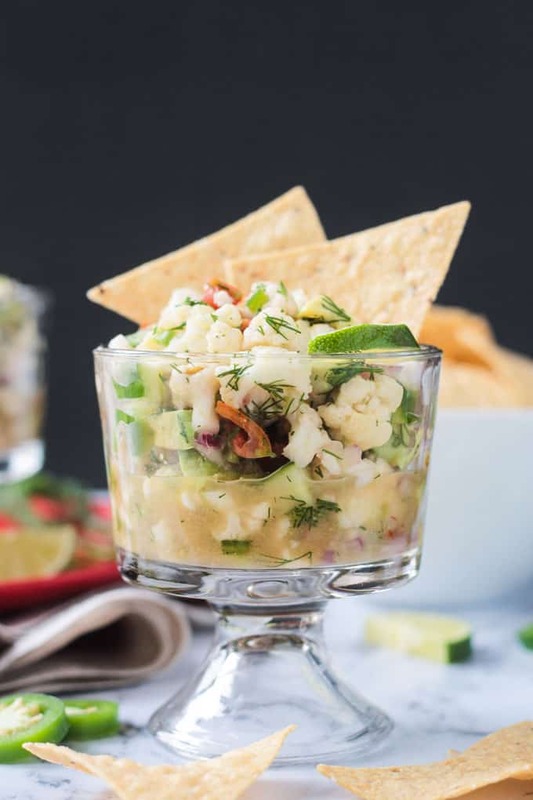 You are so lucky to have stopped by today because this recipe for Vegan Ceviche is part of a Virtual Vegan Potluck, lovingly created by Ann from An Unrefined Vegan. You surely know how a potluck works, right? Everyone brings their best dish to the table for everyone else to share in and enjoy. Everything from light refreshing appetizers to hearty main dishes to scrumptiously sweet desserts are represented. This virtual potluck is no different, except that all recipes found at this “table” are meat and dairy free. Prepare to drool while browsing the beautifully delectable pictures. Save, Print, Pin, Tweet, and Share your favorites. We all thank you! The not so secret ingredient for this particular potluck is citrus fruits. All bloggers were encouraged to use this ingredient in their recipe in some way, although it wasn’t an absolute requirement. I decided I did want to incorporate citrus and, originally, thought I was going to create a salad. 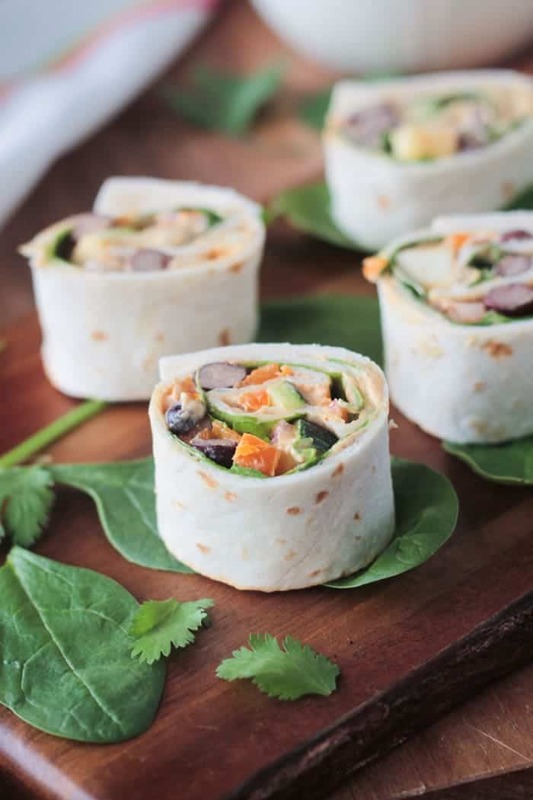 However, my idea of what ingredients I wanted to use kept changing, kept getting better and better, and by the end I had more of an appetizer than a salad. 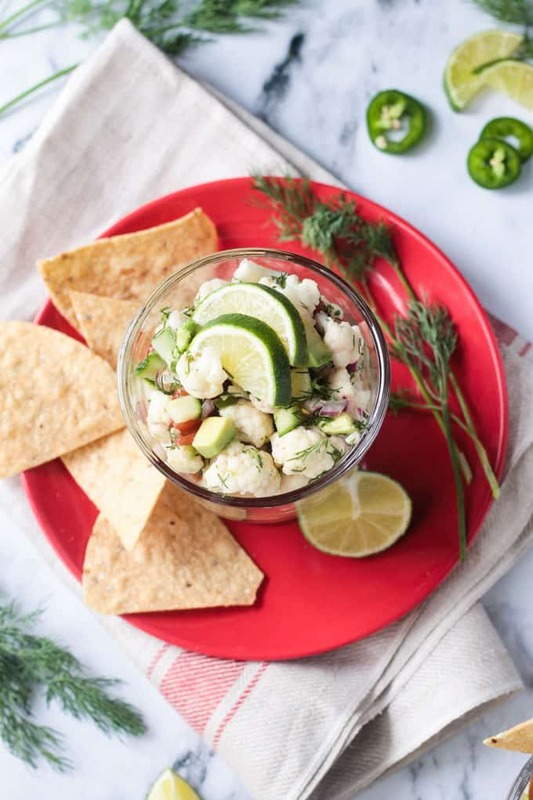 My plant-based version of ceviche uses lightly steamed cauliflower in place of the seafood. I love the way this dish turned out. In a traditional ceviche, there would be seafood, of course, but also flavors such as cilantro and lime. I decided to use grapefruit with just a hint of lime and swapped out the cilantro for dill. The idea of dill and citrus really excited me as I was browsing the produce aisle of my local grocer looking for inspiration. 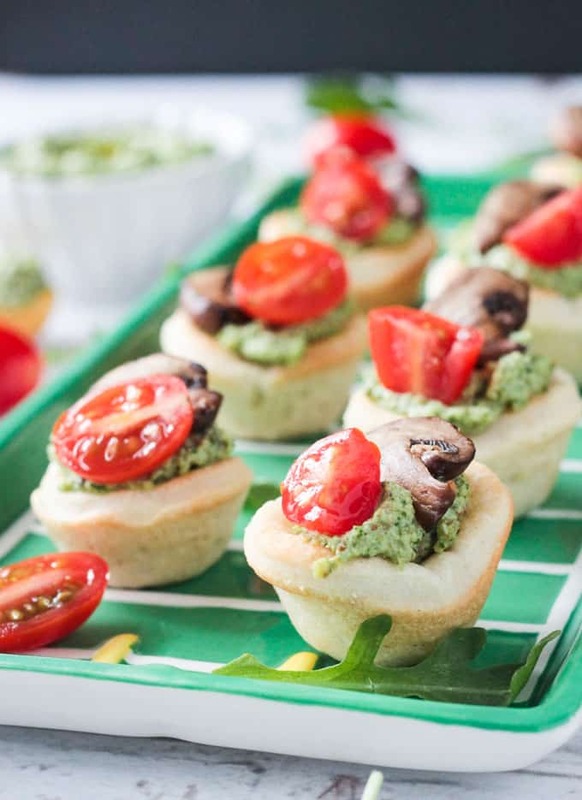 This recipe would work anytime of year, but would be especially lovely as an hors d’oeuvre at your holiday gathering. 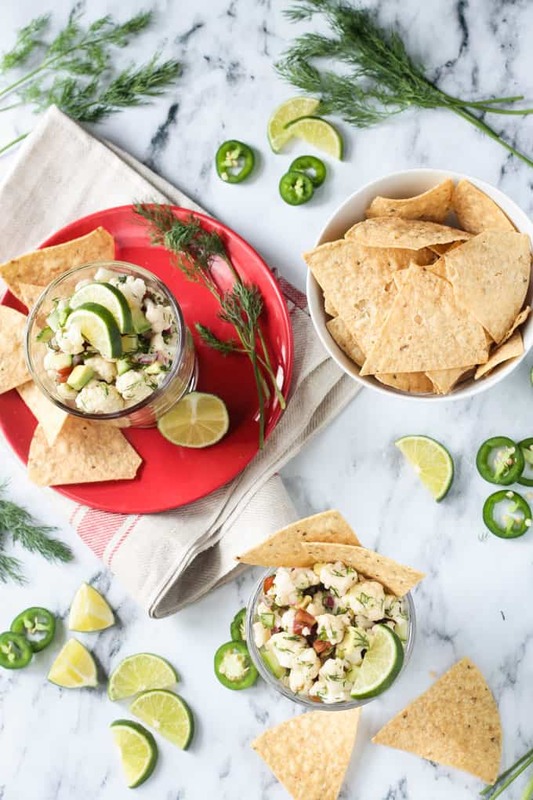 I hope you love this Vegan Ceviche recipe as much as we do. If you try it, please come back and leave me a comment below with your feedback and star rating. You can also find me on social media. Be sure to tag @veggie_inspired and #veggieinspired so I’m sure to see it. This easy plant-based vegan ceviche would be a delicious and gorgeous start to any meal. Steam cauliflower florets until just tender, about 7-8 minutes. Combine cauliflower with grapefruit and lime juice, diced jalapeño and diced red onion in a large bowl. Set in fridge for 30 minutes to marinade, mixing once or twice to ensure all ingredients are getting covered in juices. Meanwhile, prep/chop all other ingredients. After cauliflower mixture has marinaded, add all remaining ingredients and mix well. Use a slotted spoon to serve, but I like to keep any leftovers in the marinade to keep the flavors mingling. Serve immediately or refrigerate until serving time. 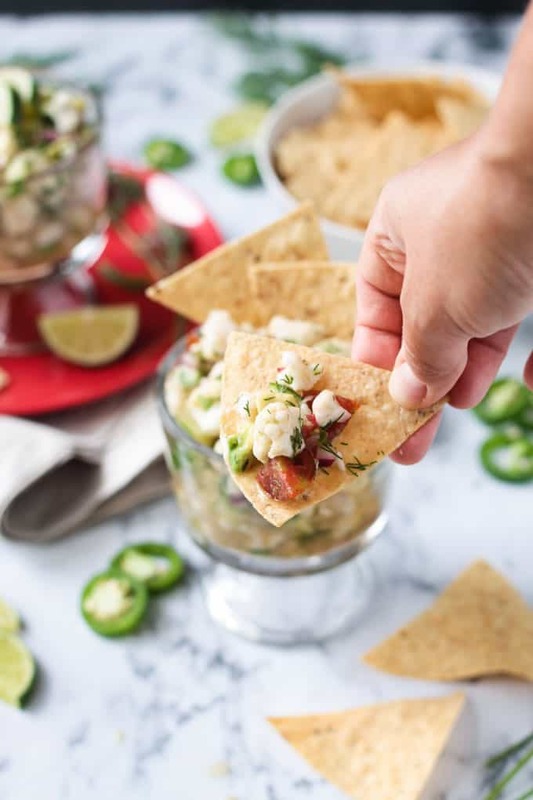 ~This is delicious eaten as is with a spoon, but it's also great served with tortilla chips or atop crunchy crackers. *Photos updated October 2017. Original recipe stands. 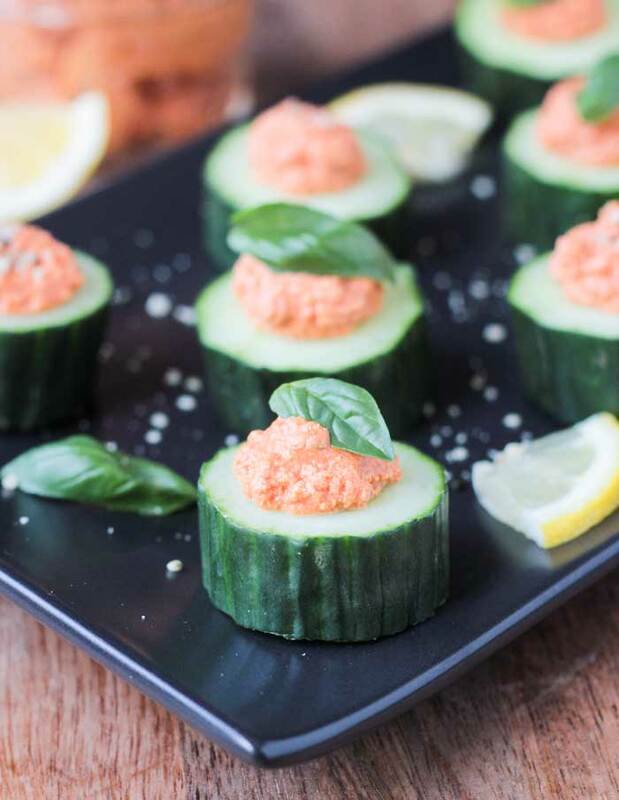 Grab a cup of coffee or tea, put on your slippers, kick your feet up in your favorite chair and please join us at this virtual vegan potluck by browsing through all the thoughtfully prepared recipes. Click on the links below to take you from dish to dish and enjoy every moment. Awesome! Festive and look so tasty too! Wow, your recipe sounds yummy! Gorgeous! 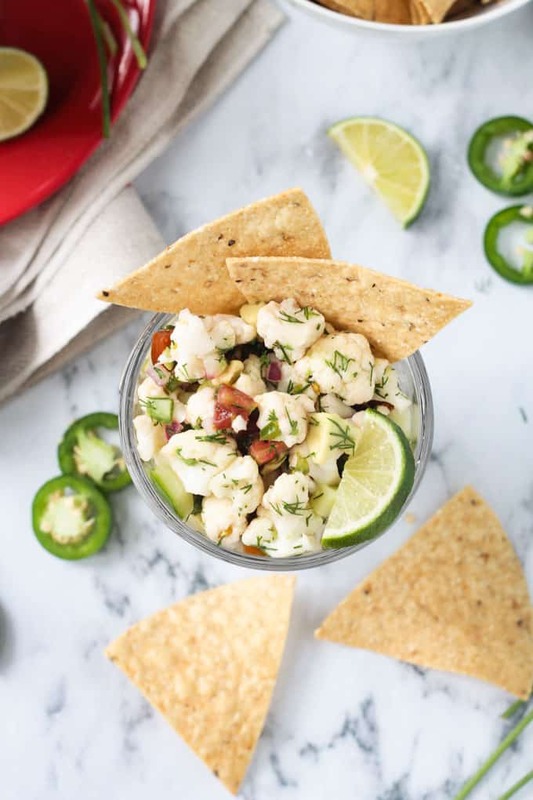 I used to love ceviche before I went vegan, so this is definitely on my to make list. Happy VVP! Great! Thank you! I would love to hear what you think if you make it! Such a clever and beautiful dish! Yummy! Thanks! Yes! Then you can feel free to indulge in a few sweet treats!! So many fresh flavors and beautiful colors. I absolutely love this idea, and your presentation is so gorgeous! Just colorful and appeasing to the eye!!!! Wow!!! Thank you! We eat with our eyes first, right? That’s such a great idea! I have used cauliflower to mimic seafood in other dishes and never thought of this. Thank you! What else have you used it in? I’ve seen it done in tacos before too…battered and fried…probably not too healthy, but yum! Mind-blowing idea! Super creative and it looks SO good!! Thank you so much! I totally strayed from my first idea of a salad and I’m so glad I did! This whole appetizers section of the potluck is making me want to throw a vegan dinner party and your beautiful ceviche is no exception! Such a creative use of cauliflower, I can imagine how great the texture would be for a “ceviche”-style preparation. Happy VVP! I know, everything looks delicious! 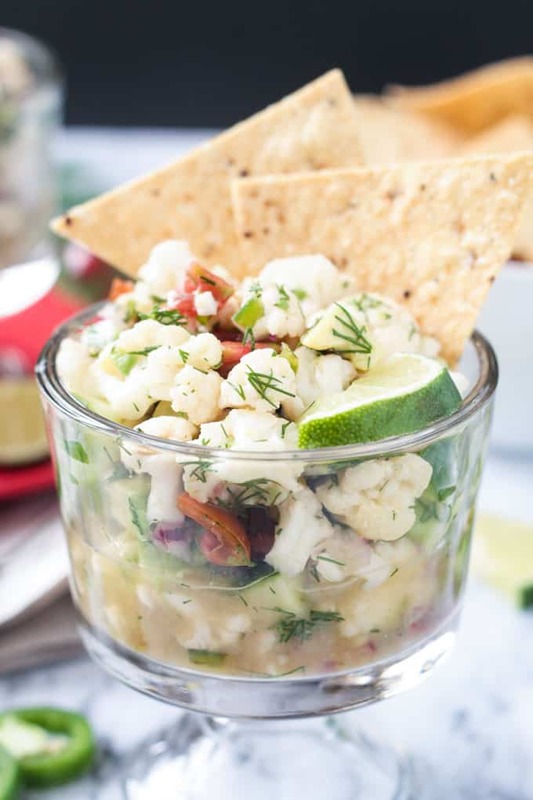 A big hunk of your Rosemary Lemon Foccacia alongside this ceviche would be perfection!! Wow, such a classy festive dish! Thank you! Makes me want to invite all my friends over for a cocktail party! Thank you so much! I pretty much love cauliflower any way I can get it! What an absolutely lovely dish!